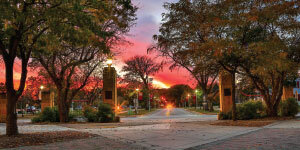 Minnesota State University Moorhead is an affordable,midsize public universitywith a private college appeal. At MSUMoorhead, we provide you with the one-on-one attention you deserve while giving you the freedom to be your own individual. We are dedicated to guiding you along the way to ensure a successful outcome for your future. We believe each student who joinsthe Dragon family is unique, and we want to give you the opportunity to make a difference. Our goal at MSUMis to bring together students from different backgrounds, creating safe,transformative learning environments and opportunities for you to engage. MSU Moorhead has many ways for you to show your diversity and get involved on campus. Whether you joina learning community, become part of a fraternity or sorority, or join one of our 110+ student organizations, weknow there is a group that will suityou perfectly. You will feel right at home the minute you step on campus. Living and dining at MSUM is convenient and affordable. You will be able to connect with new friends and get involved with social and cultural activities while living in the residence halls. We also provide you with personalized support for everything from academic planning to career development. a personal level. 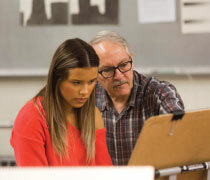 Nearly any student at MSUM will be able to talk about their personalized experiences and connections with professors who helped lead them towhere they are today. This connection sets up your individual exploration and unique moments ofdiscovery, ultimately transformingyour life. Fargo-Moorhead has the feel of asmall-town community with a big-city appeal. With over 350 dining options, you are bound to find your new favorite restaurant. There are a variety of transportation options to get around town with ease. MSUM students have access to free unlimited rides on the bus to get themwhere they need to be. In addition,it is only a 15-minute-or-less commute to most attractions and destinations around town. The Fargo-Moorhead area is home to approximately 200,000 residents, including 29,000+ college students. Moorhead was voted the “Best Small City in America” by NerdWallet.com and the #1 college town to find a job (ZipRecruiter). Between concerts and events, arts and cultural activities, restaurants, and shopping, there is never a shortage of activities and attractions in the area. 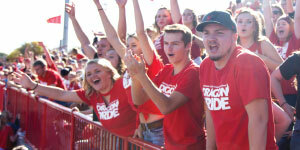 MSU Moorhead is one of the lowest-priced residential universities in the state of Minnesota. With an average aid package of $12,324 and over $3.26 million in scholarships awarded each year, we are committed to helping create a high-quality education to fit your financial needs. Hundreds of automatic and competitive scholarships are available to you based on academic achievement, exceptional talent, and financial need. With our banded tuition, you can take up to 19 credits per semester for the price of 12.